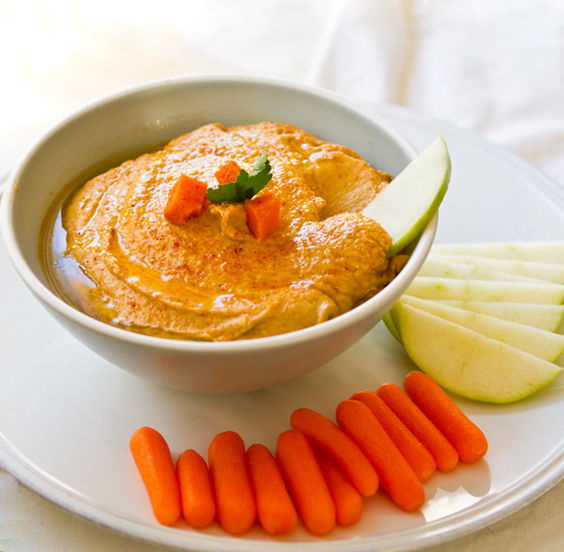 Sweet Potato Hummus. Cajun Spiced. Tartine too. I don't know why I didn't think making Sweet Potato Hummus sooner. 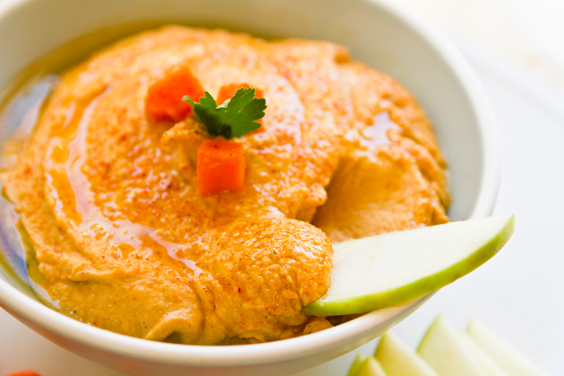 It combines two of my most favorite foods: sweet potatoes and hummus! 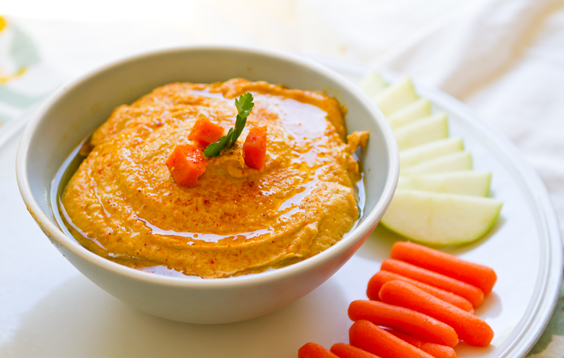 For this hummus, I add in Cajun spices, rich nutty tahini and even nutritional yeast. 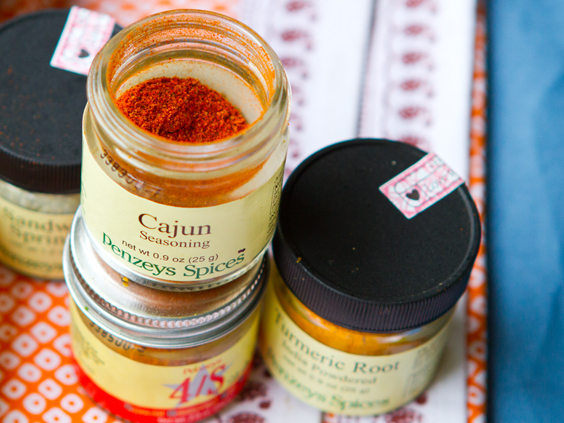 The Cajun seasoning gives each bite a bright, warm heat - but not too bold so it doesn't overpower the mild potato and bean flavors. 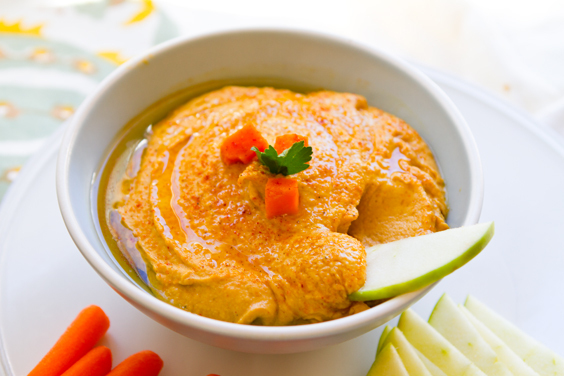 This hummus is soft and savory with hints of bitterness and nuttiness breaking into the sweetness from the golden sweet potato. And really, you can season the base recipe however you'd like. 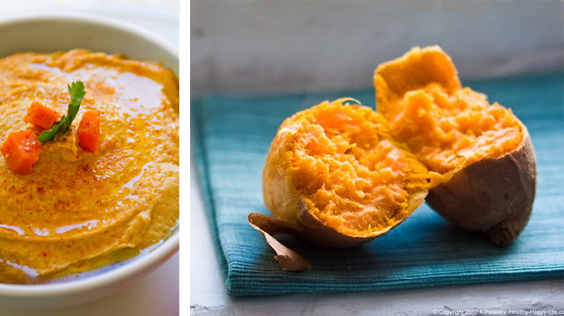 Sweet potato lovers - dive into this recipe!.. Spread it! 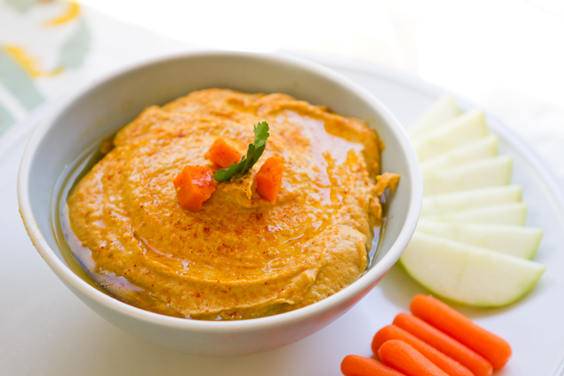 Adding a sweet potato to your hummus gives it a denser texture which makes it perfect for slathering onto sandwiches and pitas - even bagels. 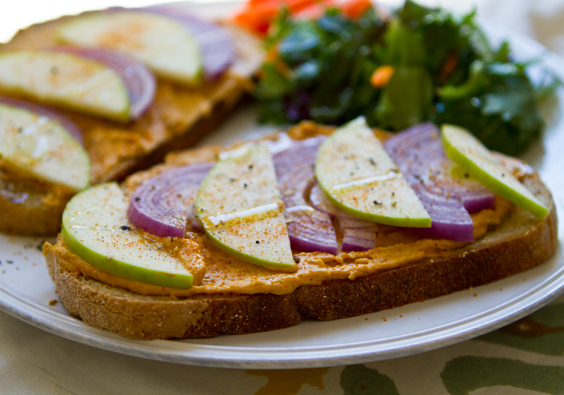 Sweet Potato Hummus, green apple, red onion tartine ..
To Assemble: Slather toasted bread in hummus. Add the apple, onion and drizzle of oil. Hummus Meets Sweet Potato. I've always loved this combo. One of my first blog recipes ever was a sweet potato hummus pita. It involved a creamy combination of rich garlic hummus mashed into a baked sweet potato. The mixture was stuffed into chewy-soft, toasted pita - with plenty of greens and orange-accented cranberry sauce to perk it up. It was a Thanksgiving recipe. But this recipe is perfect for everyday. It has a bit more body than a traditional bean-based hummus. Healthy Dip! This dip is super healthy because it contains fiber rich sweet potatoes and beans. Plus vitamin A, iron, potassium, B vitamins and more. Plus the combo of protein, fat and complex carbohydrates will keep you satisfied for a while. Perfect lunchtime recipe! Reduce the Fat. You can reduce the added oil in this recipe if you'd like. Replace the oil with some zesty orange juice or a splash of soy milk to loosen the blend. Make it Soup! You can actually turn this mixture into a yummy sweet potato soup by adding in 1 cup of soy milk or vegetable broth (soy milk makes for a creamier soup - or you can use a combo of both). You will need to transfer the mixture to a pot on the stove to simmer until heated since the beans are not heated when pureed. This recipe would also be lovely spread into a Sweet Potato Glow Spiral..
* Add more oil/vinegar for silkier hummus - if desired. For lower-fat version: sub some or all of the oil with low-fat soy milk or orange juice. 1. Add all the ingredients to a Vitamix of Food Processor.